A couple of weeks ago I met someone at a function. From the outset it was clear that we both had a mutual interest in sport, particularly cricket. He asked me who my favourite Australian cricketer was. He said, “I’ve never heard of him before”. And I said, “Alex is a woman. She is Australia’s most capped female player and has represented her country, her state and played in the Women’s Big Bash League, captaining the Sydney Thunder for many, many years. After retiring from international cricket a couple of years ago Alex has also dabbled in coaching in Australia and overseas and now also sits on the board of Cricket NSW”. My new friend was slightly embarrassed, particularly since he had professed himself to be an expert in Australian cricket at the start of the conversation. But I took the opportunity to tell him a bit more about one of my favourite athletes. The situation that evening is one that has played out for me on several occasions now. I was once having a conversation with someone who knew a member of the Aussie 7s side. I professed that I did too. Turns out I assumed he meant the women’s team and vice versa. As we continue to see the growth of women’s sport it will become harder and harder to make assumptions about which team or competition a person is talking about. Until now the default in Australian sport has been to think of the men first – or, in some cases, only the men – but that assumption has started to shift for plenty of women and girls. There is increasing recognition, particularly at the national level, that Australia has more than one team and that people may support one of those national teams more avidly than the others. If I’m right and that shift has started happening, then one thing our sports will need to increasingly think critically about is language, because language matters and how we talk about our national teams and our competitions is important. Some changes are small and easy to make. It just takes some time to train your brain. Good examples are the shift from batsmen to batter. Or from third man to third. Fieldsman to fielder. Or chairman to chair or chairperson. Eventually the more gender-neutral term becomes the norm. There’s also evidence of sports taking the initiative themselves. In 2017 Cricket Australia made the decision to formally change the name of the Southern Stars to the Australian women’s cricket team. That shift meant that at a national level we had (among other teams) the Australian men’s cricket team and Australian women’s cricket team. The Australian women are still at times colloquially referred to as the Southern Stars, but formally our two teams are the same from a naming perspective. 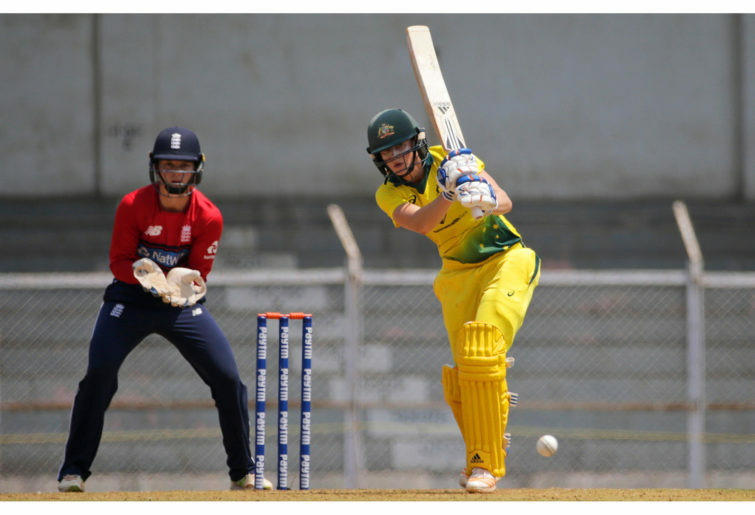 At the time many women playing in the team felt that this was a big step toward gender equality for Australian cricket and celebrated the change. On the flip side, some people blew up about it and questioned why the change needed to happen. But here we are almost a year and a half later and the sky hasn’t fallen in and women’s cricket has continued to go from strength to strength. But in the coming years I feel like there are going to be some challenging conversations, particularly when it comes to our domestic sporting leagues, because of the introduction of women’s competitions like the WBBL, W-League, WNRL and AFLW. When these competitions were announced, there was a preference to add the letter ‘W’ to the name of the league to signify that it was the women’s competition. While the women’s competitions are in their infancy, perhaps this was seen as a safer strategy so not too much change happened at once. Or perhaps no-one thought about it properly. But I wonder whether over the next decade there will be increased pressure to change the name of the men’s competitions so they are simply not called the name of the league. It is becoming increasingly popular in some AFL circles to differentiate between the two competitions by calling one AFLM and one AFLW. To me this actually makes sense because both competitions fall under the banner of the AFL, which is the domestic league, and it’s clear whether a fan or commentator is talking about the men’s competition or the women’s competition. In ten years could we have the MBBL and the WBBL? The WNRL and the MNRL? The Super M and the Super W? For each of NRL, BBL, AFL and Super Rugby there is now a men’s and women’s competition. Each of these competitions should be reflected. It doesn’t change much else given that the sport and the league stay the same. The only thing that changes is that we make a clear differentiation between the women’s competition and men’s competition and don’t simply make the women’s competition an afterthought. Keeping the status quo will over time devalue the women’s competition, even if that is not the intention. Who knew that one small letter could make such a significant difference? Bookmark this article What’s in a name?